Online casinos largely focus on the pokies, as operators know video slot games are enjoyed by millions around the world. We explain more about how to play pokies for real money at the best online and mobile casinos, the slot games that are available and how to make a deposit using Australian currency. In Australia, there are more than 4,000 registered pubs and clubs which offer pokies as a form of entertainment to their patrons. In addition to the pubs and clubs, there are 13 (and counting) brick-and-mortar casinos across the country, each with hundreds upon hundreds of video poker machines. All up, there are approximately 200,000 poker machines in Australia – a total which makes up almost three per cent of all the gambling machines in the world. Given the country ranks only 52nd in the world for total population, it seems Aussie residents enjoy punting on the pokies more than any other people. 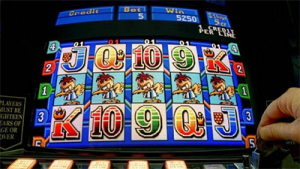 While there are some alarming figures in regards to problem gamblers and money lost to the machines, the pokies can be a fun source of entertainment when played in moderation and without the notion that such games should be considered an avenue of income. In recent times, land-based pokies have struggled to keep up with the continued improvement of modern gambling technology. Online and mobile pokies now offer far superior graphics, visuals, and a higher quality, more engaging interactive gaming experience. Along with looking better, online pokies offer all kinds of exciting themes, unique formats and special features. Therefore, more and more players are turning to the Internet to play for real money, enjoying better games with the comfort and convenience of playing from home. The technology used by gaming software companies such as Microgaming, BetSoft, Net Entertainment, Thunderkick, Quickspin, Play’n Go, Yggdrasil NYX and NextGen Gaming is state-of-the-art, offering players cinematic-grade animation and bonus features that you simply won’t find from an electronic poker machine. The regulated online and mobile-compatible pokies casinos listed in our table above offer their real money gaming services to all Australian residents, with deposits available using Australian dollars. As these online casinos are all legally licensed by reputable offshore gambling jurisdictions, Aussies are able to access real money games and can enjoy some of the most graphically advanced, visually stunning and audio-rich pokies currently available online. 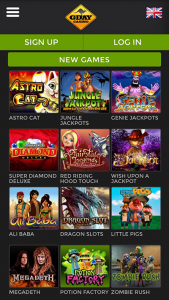 These sites are all registered and licensed by top-rated government gaming authorities such as the U.K. Gambling Commission, Malta Gaming Authority and Curacao e-Gaming, offering hundreds of unique and interactive pokies, all with diverse themes, features and gameplay settings. Access the casinos directly from your smartphone and tablet Web browsers to enjoy vivid graphics powered by the latest in HTML5, Flash and Java technology. All the latest devices are compatible, including those utilising the Apple, Android, Windows and BlackBerry operating systems, along with older data-enabled devices using the Symbian OS and WAP technology. Even if you’re never played the pokies before, or have never visited an online casino, working out how to play online pokies for real money bets is simple. All you need to do is sign up for an account with a reputable casino like any of the ones recommended on our site, which is a quick process and just requires you to enter basic personal details like name, date of birth and address. It’s important to be honest with this information as you may need to verify your details with a drivers license or utility bill when it comes time to withdrawing your winnings. Remember to select AUD as your chosen currency method when registering. When you have a log-in, sign in to your account and head to the casinos banking section. Select from the range of trusted payment options on offer, then follow the prompts to enter your payment details and the amount of AUD you wish to transfer. A majority of the deposits are processed on the spot (bank transfers can take a few business days) so you can start playing for real money straight away – your hardest move from here will be choosing which game you want to play. Load the game directly over your Web browser, use the buttons at the bottom of the game to set the size of your wager, then hit the spin button and cross your fingers that you’ll land on a winning combination for an instant cash prize. 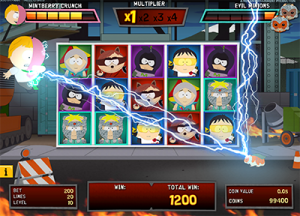 The wide expansion of smartphone technology has resulted in online game studios making sure they keep up to date with new technologies, and as such a majority of the latest online pokies are now also optimised for mobile play. You won’t find quite as many mobile pokies as you will at a full desktop casino, but the selections are getting bigger and bigger and the most popular titles are usually available. Mobile pokies maintain all the same features and high quality graphics as the desktop titles, but have been formatted to fit the smaller screen of your phone or tablet with play using the touchscreen. While it’s quite rare to find an online pokies site that offers a native app (the kind downloaded from your devices app store), our recommended casinos all provide the option of creating your own Web app. Just tap our links above to go to one of the best mobile pokies sites, bring up your in-browser settings and select the ‘add to home screen’ option. This essentially creates a casino app without actually requiring any downloads or space on your mobile hard drive. What are the most popular slots on the Internet? Another advantage online pokies have over their land based counterparts is there are literally thousands of different games available. There’s a game using almost every theme imaginable, and many software developers have teamed up with official movie, music and TV studios to create games based on famous films, shows and musicians. Below we’ve listed some of our favourite pokie titles available to play for real money and in practice play mode at our top-rated casinos, so you can get an idea of the types of games available. Aliens: Net Entertainment’s three-level interactive shooter masterpiece, based on James Cameron’s 1986 blockbuster. Mega Moolah: Microgaming’s most lucrative progressive jackpot pokies game, with a Mega Jackpot always in excess of $1,000,000 and often climbing to as high as $6,000,000. Game of Thrones: Based on the hit TV series, Microgaming has created a brilliant video pokies game which incorporates all the aspects of the show Thronies have come to love. Guns N Roses: The famous hair-metal eighties band makes it to the reels in this wildly popular game from NetEnt, which features a genuine GNR soundtrack and a heap of unique bonus features. Divine Fortune: The newest progressive jackpot game released by NetEnt in years, Divine Fortune is packed with exquisite ancient Greek inspired graphics and some huge winning potential. Jurassic Park: Microgaming’s interactive game based the 1993 Steven Spielberg classic, including video clips and soundtracks taken direct from the film. Spinions Beach Party: This vibrant, light-hearted pokies game from Quickspin is all about letting the good times roll! Join the whacky little Spinions for a cocktail-swilling time on palm fringed beaches for your chance at some tasty wins. Battlestar Galactica: Take a trip down memory lane and enjoy Microgaming’s visually stunning game based on the American military science-fiction television series. Heist: One of BetSoft’s finest pokies, using its renowned Slots3 technology for true cinematic 3D gaming. Gladiator: Another of BetSoft’s 3D slots games, drawing inspiration from the epic warriors of the glory days of Rome. Starburst: One of the Internet’s most popular pokies – Net Entertainment’s arcade experience, bursting with vibrant colours, sleek graphics and a host of bonus features such as free spins. Arcader: Thunderkick pays tribute to the golden age of arcade video games, which spawned such classics like Space Invaders, Defender and Asteroids. Terminator II: Microgaming’s rendition of no doubt the greatest Terminator film to date – Judgement Day, starring Arnold Schwarzenegger (Terminator), Linda Hamilton (Sarah Connor), Edward Furlong (John Connor) and Robert Patrick (T-1000). Superman: One of NYX Gaming’s classic DC branded slot games, which also includes The Green Lantern, Wonder Woman and The Flash, all of which boast retro graphics sure to keep old-school fans happy. Gonzo’s Quest: Net Entertainment’s first platinum video slot game introduces the awesome ‘avalanche’ feature, where winning paylines disappear in 3D explosions and the gaps are filled by more symbols. Immortal Romance: Inspired by the Twilight series, Microgaming’s Immortal Romance takes players on a dark journey of forbidden love which features vampires and a brilliant original musical score. That’s just a taste of the hundreds of pokies games available at your fingertips, via desktop, laptop, mobile, tablets and even Smart TV. Sign up for free at one of our recommended casinos, like Guts Casino to enjoy instant-play pokies games for real money via your Internet browser, with no downloads required. 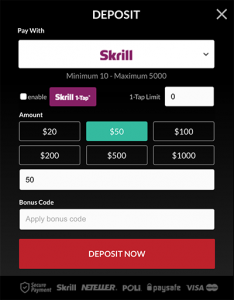 Whether playing on your computer or on your phone, each casino site support a range of secure, AUD-friendly deposit and withdrawal methods. All financial transactions are protected with the latest in SSL digital encryption technology, so all personal and financial details are properly safeguarded. Online pokies deposit page at Guts Casino. It is important to check with your registered site to confirm processing times as well as minimum and maximum transaction limits. You can always contact the casino via live chat support, email, or toll-free phone number if you have any questions. Looking for a safe and reputable casino site to play pokies online? Sign up at Guts Casino, where new players can claim up to $500 in matched deposit welcome bonuses and get 100 free spins to use on selected pokies. As always, gamble responsibly and set yourself both time and spending limits. Never chase your losses.